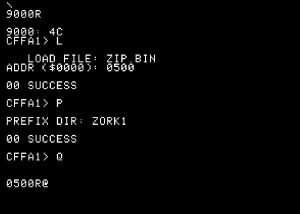 Recent versions of the MESS emulator have included CFFA1 emulation on an Apple 1. 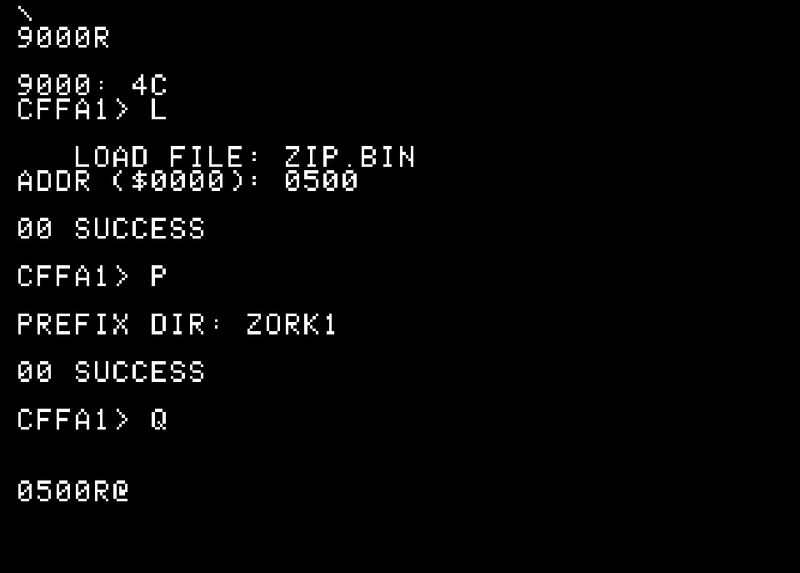 In order to obtain a working system you will now need the correct ROM images for both the Apple 1 and the CFFA1 itself. 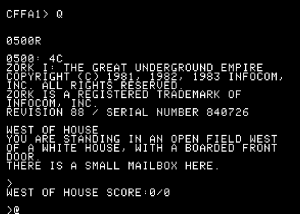 These should be placed in the roms/apple1 directory and are (currently) apple-a1.a1 and apple-a2.a2 for the Woz monitor, apple-a3.3 and apple-a4.4 for the cassette interface, s2513.d2 for the character generator, and cffaromv1.1.bin for the CFFA1 card itself. Once the correct ROM images are installed they can be verified by running MESS with the -verifyroms apple1 command argument. 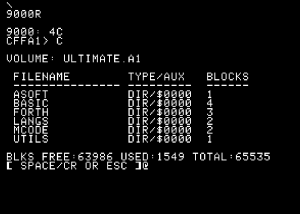 Specifying the amount of RAM as 36K allows the emulation to correctly allocate space for the CFFA1 ROM. 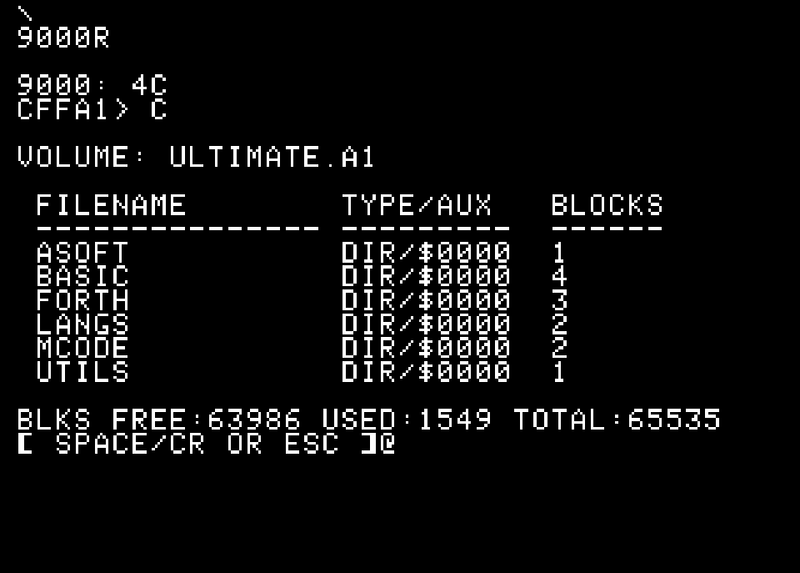 As a demo of the capabilities of the Apple 1, Philip Lord has put great effort into compiling existing Apple 1 software into his Ultimate Apple 1 Software Collection. This collection is distributed as a .po image, which can be written to a Compact Flash card and used with the CFFA1. 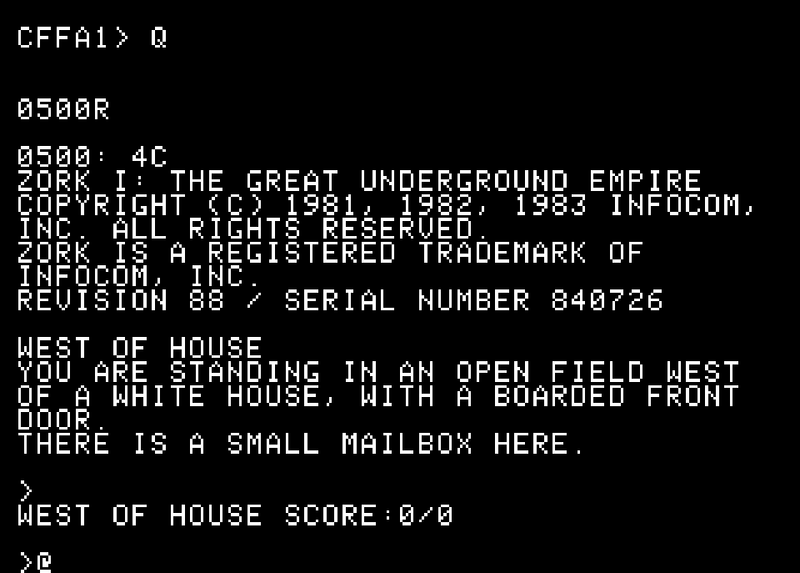 However, it can also be turned into a hard drive image that can be used with the Apple 1 emulation provided by MESS. This file can be used as the input to MESS using the following. This configuration creates an excellent software development platform for the Apple 1 Computer.